I got a Club Kart Prize that i'm looking to play, it gets into the main menu of the game but doesn't seem to allow me to play. I checked the input tests and all buttons seem to be working. When I looked at a "rom board test" it tells me IC11 is not working. Yeah, that's normal. 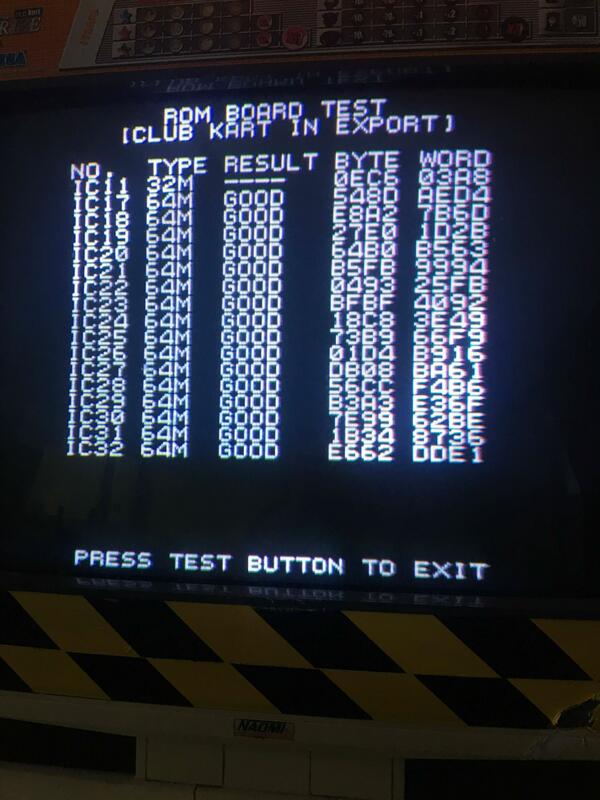 IC11 contains the check sums for all the other roms. There's nothing to check against.